From the Sept 2015 issue of Castine Living, photos by Shutter Images. Thank you for your interest in Fort George! 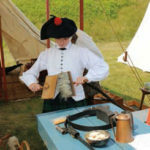 The Friends of Castine Fortifications has decided to put a pause on all activities related to Fort George in 2019. 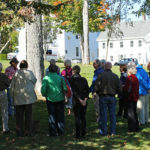 Instead, organizations in Castine will use this year for strategic planning related to future activities at Fort George. 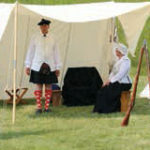 We hope you remain interested in the history of all the forts in Castine and specifically Fort George. All events and programs are free of charge. After a successful inaugural year in 2017, for 2018 we are continuing to show the importance of Fort George – check out last years exciting programs by clicking HERE. 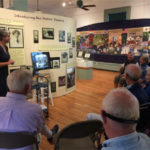 Calling All History Enthusiasts! 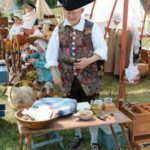 Click HERE to experience the 18th century firsthand! Calling all teachers! Click HERE to learn how to receive CEU credits! 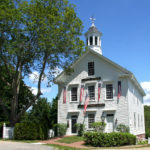 Fort George in Castine is on the National Register of Historic Places due to the important role it played in the American Revolution and later in the War of 1812. 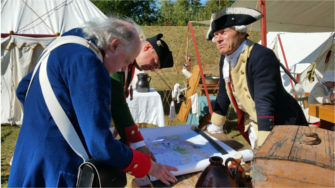 On the weekend of September 8 & 9, 2018, volunteers at Fort George and Castine will show us what life may have been like between 1779 and 1783 while Crown troops protected the Loyalists who had moved to the area believing that the Penobscot was going to be the border between the new United States of America and British North America. 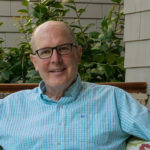 “Jonathan Lowder’s Truckhouse on the Maine Frontier 1776-1779”Historian Charles Lagerbom will talk about the history, building, occupation, post-occupation and archaeological investigation of an American Revolutionary War Trading Post on the Colonial Maine Frontier. 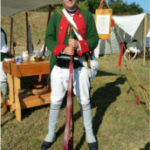 “Fort George in “Hessian” correspondence of the American Revolution.”Who were the German troops at Fort George and what were their experiences at this British outpost in the American Revolution? For additional details, please view our press release HERE.